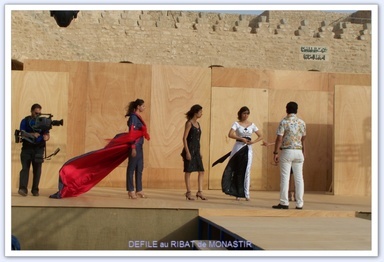 Ribat of Monastir - Guest of Honor . 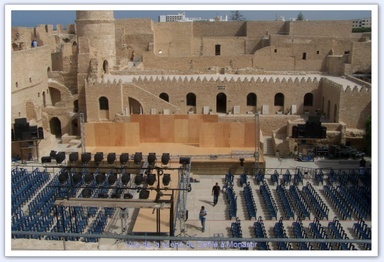 This event is broadcast on the national television channel "Tunis 7" . 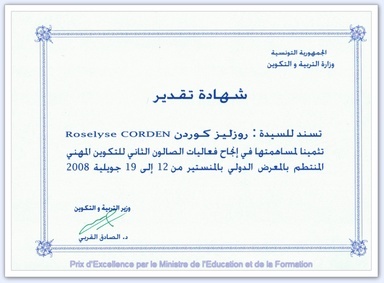 Roselyne Cordin receives hands of Minister of Education and Training Excellence Award, after the fashion of the 2nd Salon Training. In honor of the new point of embroidery luxury, "TILL-LUNEVILLE © mixing the two Tunisian-French techniques: embroidery of Luneville and embroidery Tunisian" Till ". 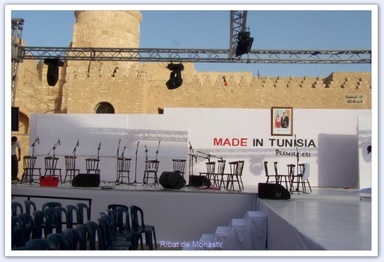 For its participation in the effective success of the event's parade of the 2nd Exhibition of Vocational Training held in the International Fair of Monastir from 12 to 19 JULY 2008. Models "JAWHARA CREATION ©" at the dress rehearsal.